Died: June 28, 1978 in Bourne Ma. 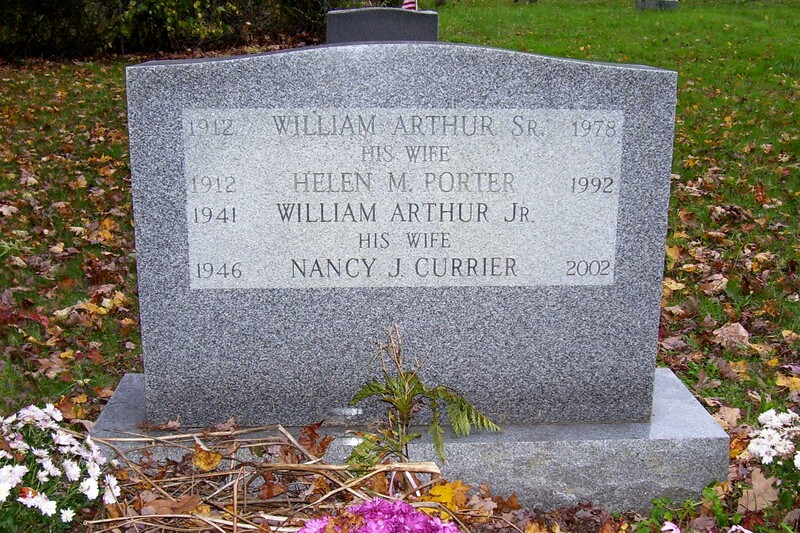 at 65 yrs, 6 mos, 9 d.
Married: May 24, 1938 in Bourne Ma. 3. 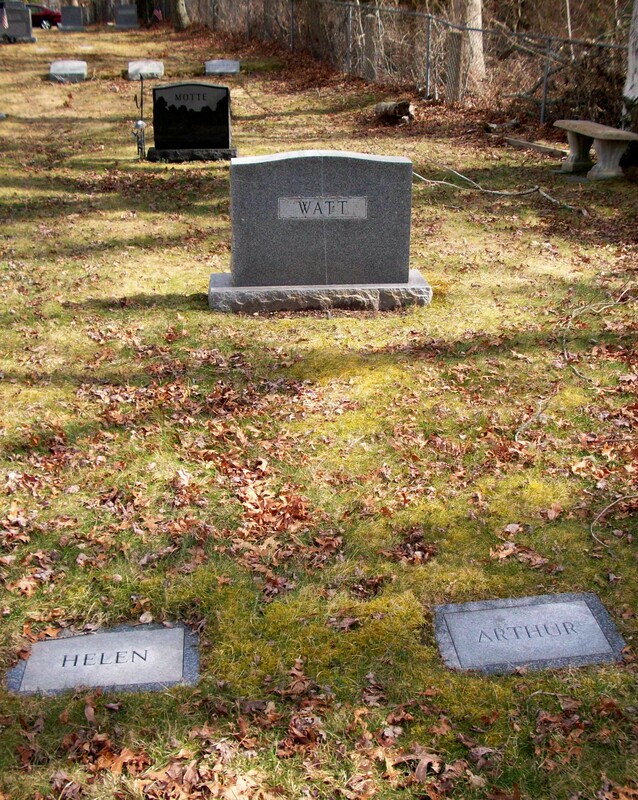 William Arthur Watt, Jr.; (January 15, 1941 – ? ); Married Nancy Jane Currier (1946 – 2002); Nancy is buried in Pocasset Cemetery.